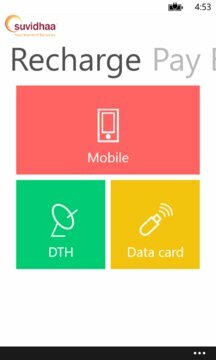 Recharge your mobile phone or DTH connection, pay utility bills and manage your bills. Suvidhaa offers fastest recharge experience as registration is not required. Set reminders, view expense graphs, store images of bills and much more with our easy to use Manage features. 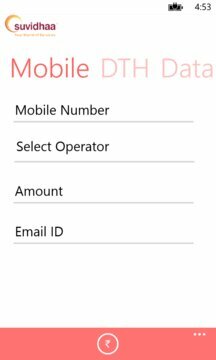 • Fastest mobile and DTH recharge experience, no registration required. All payments are 100% Safe and Secure. Help us improve the app by sending your suggestions to mobile@suvidhaa.com. Visit us on www.suvidhaa.com.